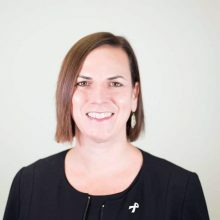 As Chief Executive Officer of White Ribbon Alliance, Betsy McCallon is responsible for setting the strategic direction of the organization and developing plans, a dynamic team and resources to deliver it. Betsy joined White Ribbon Alliance in 2004 and has contributed to the growth of the Alliance from a loose network to a driver for global attention and commitments to maternal health and rights with a focus on national advocacy and accountability. She was drawn to the White Ribbon Alliance because of its focus on local solutions to address issues of inequality and the huge potential for change. Betsy is currently a Board Member and Chair of the NGO Constituency for The Partnership for Maternal, Newborn and Child Health (PMNCH). She participates in multiple maternal, newborn, child and adolescent health coalitions, where she passionately advocates for citizen participation to accelerate advancements for maternal and newborn health and rights. Betsy has lived in sub-Saharan Africa and Central America and worked in more than 15 countries. When she’s not working, Betsy spends much of her time outdoors cycling, exploring the city, and watching soccer.